A beautifully fitted boy short with full back coverage. 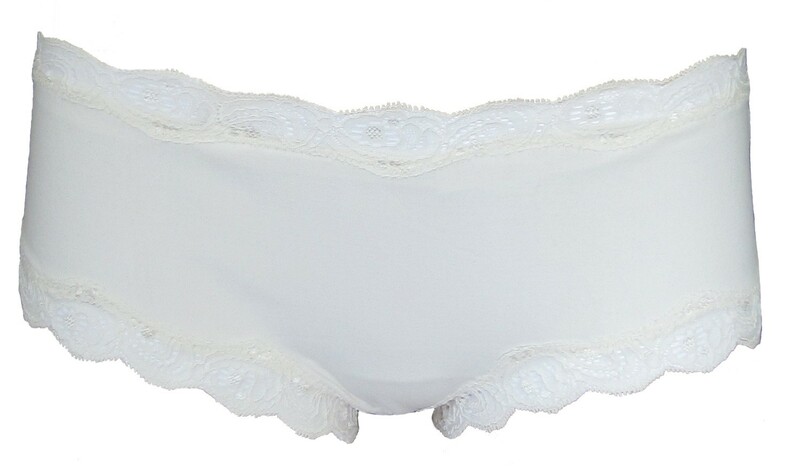 Luxurious French lace scallop trim on legs and waist. Soft and comfy, opaque Supplex. 80% nylon, 20% lycra. Made in USA.